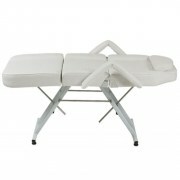 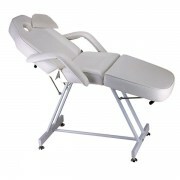 Very comfortable bed with removable arms, it also includes a face cradle below the pillow for a face down position. 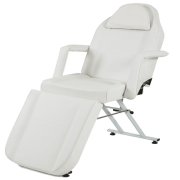 The backrest can be manually adjusted from a flat position to an upward 55° angle. 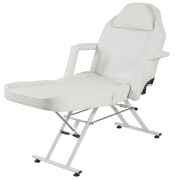 The leg rest can be manually adjusted from a flat position to a downward 45° angle.